Paul Archer publishes articles, White Papers, blog posts, books and places these all over the internet. 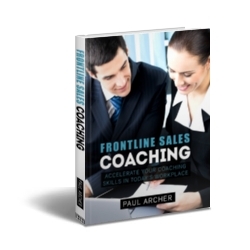 This page contains links to where you find access to these free sales resources. Over a 100 long-form articles first published in 2006, on a vast range of sales and coaching topics. Paul has published over 100 short and long-form articles plus videos on the LinkedIn Pulse Platform where regular comments are left to discuss the topics. Updated three times weekly to include short articles on sales and coaching topics linked to everyday life, skills for the Mortgage Adviser and video clips of Paul presenting on tactical sales tips and ideas to help you in your business.